VMWare, StoryStock and Coláiste an Spioraid Naoimh are just some of the names that make up the list of finalists for this year’s IT Leader Awards. The awards organisers and leading ICT representative body in Cork, [email protected], say whittling down the 100+ applicants to just 3 finalists in 6 categories was a challenging task. John Drury, [email protected] Board Member and Chairman of its Skillnet Programme, spoke of the undertaking, “The judging process never gets any easier. In fact, I would say that year on year it gets tougher as the quality of applicants gets better and the bar is raised even further. We would like to take this opportunity to congratulate the 18 companies that have been selected. They are in the running for the top prizes and to come this far is an achievement in itself and a testament to the work these companies are doing to further the IT industry in the region. With less than a week to go the excitement is mounting for our Awards ceremony on October 20th”. Caroline O’ Driscoll, Chair of [email protected] explained, “Cork’s success in developing a world-renowned technological hub through both commerce and academia should be celebrated. 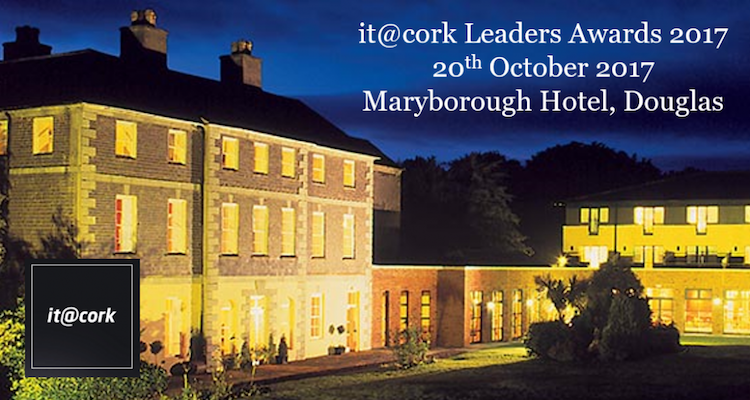 At our Leaders Awards, we want to put the spotlight on Cork and show exactly what the sector has achieved and most importantly what is to come. We have the talent and without doubt the drive to succeed ; based on recent growth we believe that Cork’s tech workforce could replicate that success again and double in the next 5-10 years. The sky is the limit for Cork. As industry representatives, we know there is a strong desire amongst the ICT community here for us to succeed and a dedicated willingness to foster & develop Cork’s ICT hub. One way in which we can do this is by recognising the achievements and the contributions of those in the industry via our Leaders Awards. From global multinationals to schools and start-ups, the awards recognise those who have gone further than most in the use of technology in their respective organisations and businesses. Our event in October will see leaders of Cork’s IT industry gather to celebrate the best and brightest of the region’s growing IT sector. The event will showcase the best companies, initiatives and individuals that are helping to make the IT sector in the Cork region one of the fastest growing sectors in Ireland”.